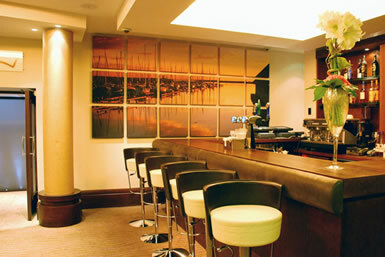 Tiled Canvases - Portobello Art LtdGo as large as you like by splitting your image into multiple tiled canvases. 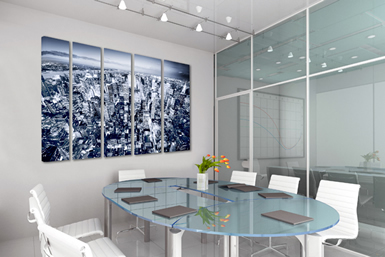 Go as large as you like by splitting your image into multiple tiled canvases. 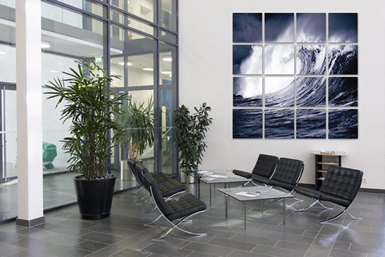 From the sophisticated bespoke triptych to the dramatic impact of 10, 20 or even 30 multiple tiled canvases, our outsized canvas artwork creates a real "wow" factor in any commercial venue. 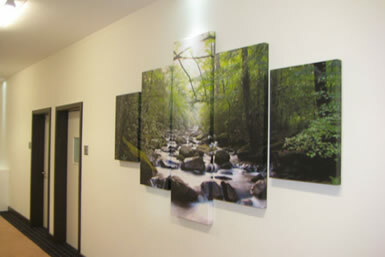 Choose your own image or one from our galleries and however big your wall area, we have the technology to successfully enlarge your photo to whatever size you may need to cover that blank space! The whole picture is then precisely split up into separate tiles with the image continuing around the sides of the frame, so that when all the tiles are hung together the edges match up perfectly. The finished product is simply stunning! 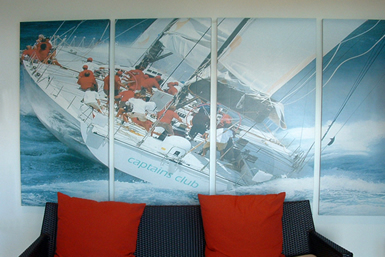 Each picture is individually printed onto satin canvas using HP wide format inkjet printers and high quality light fast UV inks, which have a 25 year life expectancy. 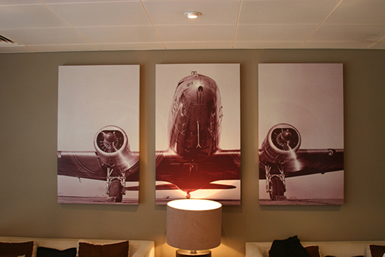 A heavy duty laminate with a semi satin finish is then applied to all canvases, which not only produces a reasonably waterproof and scuff proof surface, but lifts the colours of the images and ensures the very best quality and sustained durability of the printed image. Each canvas is then stretched by hand onto 2" deep kiln dried solid wood stretchers with hardboard backing boards for extra protection.